I don’t know how many times I’ve read about LOW FAT CHOCOLATE MILK being a good recovery drink after a run. Experts say that the high protein and high carb combination make it the perfect drink to replenish tired muscles and replace lost fluids during an intense or long run. It’s been mentioned so many times all over the web and in Runner’s World I wonder what took me so long to try it after a workout. Oh, for one thing, the only low-fat chocolate milk I knew of was Nestle’s Low-Fat Chocolate milk in the refrigerator section of supermarkets. I grew up with Magnolia Chocolait (yes, I reached the one in bottles before) and loved it. In fact, when I was pregnant, I drank it like water and my OB-GYNE advised me to quit it after I gained all my pregnancy weight in the first few months. You don’t know how happy I was to find it’s low-fat counterpart in the market years ago. Although less rich in flavor, it still appealed to me. I would drink it at home, but never as a recovery drink because I worried about its portability. Even if I kept it in a cooler, I worried it would spoil easily after a 2 to 3 hour run. I also regularly drink Holly’s Low Fat Chocolate drink whenever I drop by Saturday Market in Alabang Country Club. Again, I never dared to bring this along with me for a long run and risk spoilage. Last week, I finally chanced upon a low fat choco milk in tetrapak: Anlene Low Fat Chocolate Milk. This solved all my portability and spoilage issues. For one pack, a 250ml serving, it contains 150 kcal and 2.5 grams fat. Not bad. I bought two packs to try. I drank one pack after my 18k long run last Saturday. I didn’t experience any soreness all throughout the day. The results? My legs felt fresh after both runs. I felt fine come Monday morning—as if I didn’t run at all over the weekend. Why didn’t I try this sooner?! So, here’s a suggestion to Nestle or Alaska: Why not manufacture low fat chocolate milk in tetrapaks? You would make a lot of runners very happy, including this one. Thanks for this article Jaymie- I tried it yesterday as my post run fuel and you were right no sore today (I was expecting it today)…considering I haven’t been running for quite awhile. This makes me wanna run more- to confirm it’s efficacy. Very nice! I’ll repost this in FB. Thanks for this information! I am going to give it a try. 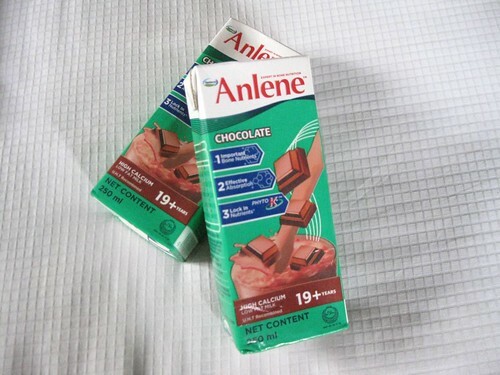 Today at Rustan’s I found only the Anlene Concentrated chocolate milk, which come in a 125 ml carton. I would suggest that if you’re going on a long run you stick it in the freezer for a least a couple of hours and it will still be cold when you finish. i agree! the nestle guiltless chocolate milk drink (and anlene, too, actually) is the best! good post run recovery drink. Looks like this is where the insulated bottles will come into play. Also saw the article in Runner’s World and tried chugging on Nestle Guiltless Chocolate Milk immediately after a long run. Worked wonders in terms of post-run recovery! you could also try Silk Chocolate Soya Milk. the best tasting chocolate milk! good recovery drink as well. a bit pricey though.